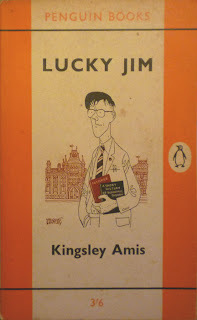 Existential Ennui: Why Lucky Jim Was Right: Kingsley Amis, Robert Markham, Colonel Sun, Ian Fleming's James Bond, and What Became of Jane Austen? 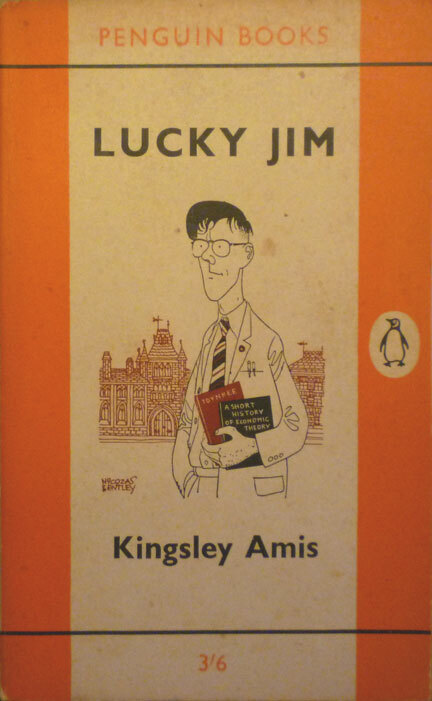 Why Lucky Jim Was Right: Kingsley Amis, Robert Markham, Colonel Sun, Ian Fleming's James Bond, and What Became of Jane Austen? Like most blogs, Existential Ennui is at root a repository for baseless supposition, badly thought through argument, shonky reasoning and ill-considered criticism (mine, largely). But every now and then, quite by accident, something I write turns out to be correct – or at least to contain a glimmer of truth. 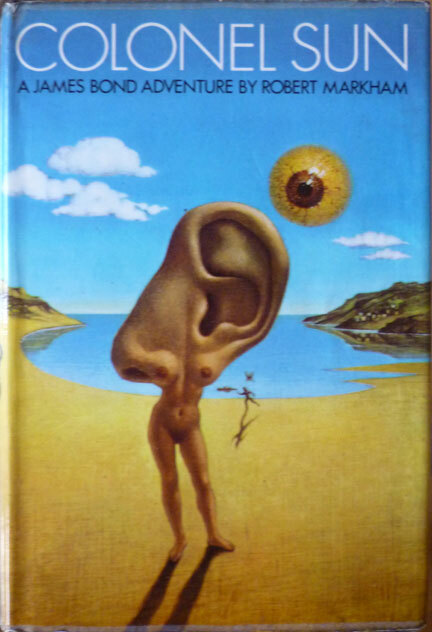 A UK hardback first edition of Kingsley Amis's What Became of Jane Austen?, published by Jonathan Cape in 1970. It's a collection of Amis's essays and criticism, mostly – although not exclusively – on literary matters. Highlights include a 1957 article where Amis expresses his regret at not making more of an effort with Dylan Thomas in a pub following Thomas's talk at the University College of Swansea in 1951, where Amis was a lecturer; a long piece on fictional policemen; another on horror movies; and various other excursions on Kipling, Roth, and God. But there are two essays in particular which are pertinent both to the preoccupations of this blog and my wider preoccupations. 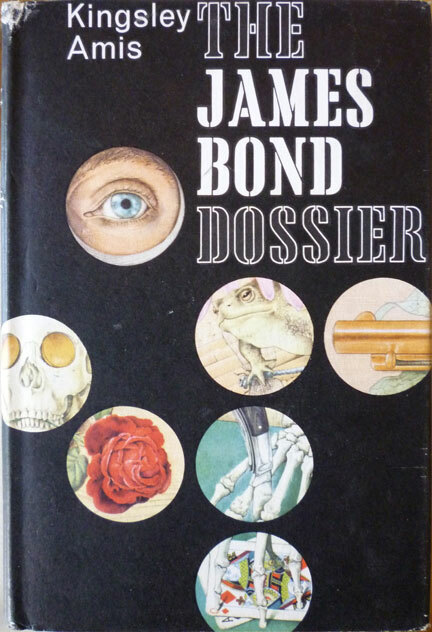 The first of those is a 1968 piece – and its three addenda – titled "A New James Bond". 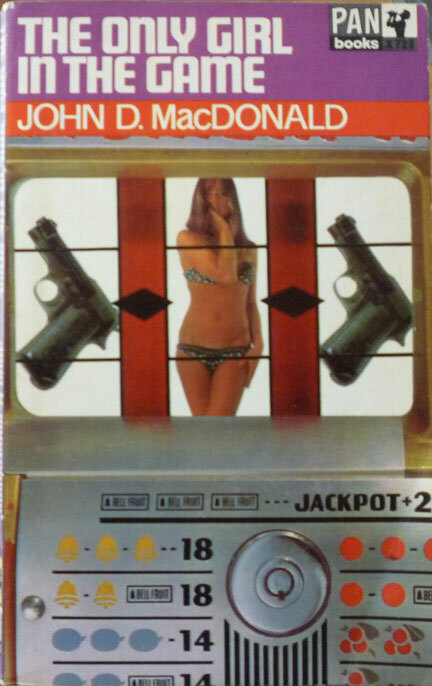 I'm not sure where it originally appeared, but it was published around the same time as Amis's pseudonymous Bond novel Colonel Sun (written as Robert Markham) and is a spirited defense of both that book and of Ian Fleming and Bond in general. In it, Amis counters the criticism he faced when he agreed to write a Bond novel, dismissing accusations of profiteering ("most people who have done much writing will probably agree on reflection that to write at length just for money... is a uniquely, odiously painful activity; not really worth the money, in fact") and Lefty baiting (although he admits that did become "a major fringe benefit") to state simply that he considered it "an honour to have been selected to follow in the footsteps of Ian Fleming". "I lament what I take to be a trend against the genres. It might well be agreed that the best of serious fiction, so to call it, is better than anything any genre can offer. But this best is horribly rare, and a clumsy dissection of the heart is so much worse than boring as to be painful, and most contemporary novels are like spy novels with no spies or crime novels with no crimes, and John D. MacDonald is by any standards a better writer than Saul Bellow, only MacDonald writes thrillers and Bellow is a human-heart chap, so guess who wears the top-grade laurels?" "The 'unpleasantness' of Bond deserves a moment's further notice. The curious momentary suspicion one feels from time to time, that the critics have somehow got hold of a completely different version of the work one has been reading, has never invaded my mind more powerfully than in the case of Ian Fleming and his critics. Bond emerges from their treatment as a frightening snob, a ceaseless fornicator and a brutal scourge of the weak and helpless; these are the principal charges. Although you will probably not believe me when I tell you, none of them has any substance. "Not once, in the twelve novels and eight stories, does Bond or his creator come anywhere near judging a character by his or her social standing. We hear a good deal about high living and the elegant scene at Blades Club, but that is a different matter; at worst, harmless vulgarity. The practice of fornication in itself is not enough, these days, to brand a man as a monster, but then perhaps Bond goes at it too hard, weaves a compensation-fantasy for author and reader, is on a wish-fulfilment deal and all that. I myself could see no harm in this even if it were true, but it is not. One girl per trip, Bond's average, is not excessive for a personable heterosexual bachelor, and his powers of performance would not rate the briefest of footnotes in Kinsey. It is true that all the girls are pretty and put up little resistance to Bond's advances, and this may help to explain his unpopularity with those critics who find it difficult to seduce even very ugly girls." In the aforementioned second addendum to "A New James Bond", Amis compares the scorn poured on Fleming's creation with the much warmer critical reception of Le Carre's supposedly more realistic take on the spy, noting that critics were simply "more comfortable with books that confirmed their prejudices about the wickedness of the West, a more wicked sort of wickedness than that of the East... because the West pretends to hypocritical rubbish to do with freedom and so on, while the East makes no bones about its devotion to things like terror." This passage bears a direct relation to the other piece in What Became of Jane Austen? that struck me, "Why Lucky Jim Turned Right" (1967), perhaps the most notorious essay Amis ever wrote. This missive is regularly held up as evidence of Amis's betrayal of the Left and embracing of the Right, i.e. Conservatism with a large 'C'. But as ever, one should never put much stock in hearsay. Much as he does in "A New James Bond", Amis speaks an awful lot of sense in "Why Lucky Jim Turned Right". He cites the 1956 Russian invasion of Hungary as the final nail in the coffin of his disillusionment with Communism, then goes on to explain why the Left in general has little to offer beyond dogma and habit. I certainly don't agree with everything Amis writes in the essay, particularly the passages on education, where he's far too anti-comprehensive schools for my liking. But that's not the point. Throughout, he is utterly, unfailingly reasonable, as he is in all his critical writing. To listen to the received wisdom on Amis, one would conclude that he turned from a fervent Trot into a foaming True Blue Tory, but to read "Why Lucky Jim Turned Right" is to confront a more prosaic truth: he'd simply realised that Britain, the country in which he lived, was, despite all its faults, a nicer place to reside than many other countries. "I am not a Tory," he states, "nor pro-Tory... nor Right-wing, nor of the Right, but of the Centre, equally opposed to all forms of authoritarianism." "The system exists, so to hell with the system. Damn you, England! Damn you for not listening to me! But, of course, plenty of people are listening, the rank-and-file Lefties with no rhetorical skills, no individual viewpoint, only a readiness to demonstrate and march against the system, to grasp at that wonderful and unique and paradoxical satisfaction which the Left offers: of swimming with and against the stream at the same time, of being both rebel and conformist, of joining in the massed choir of half a million voices crying in the wilderness. On either or any level, emotion is calling the tune. Some pretty powerful set of emotions, clearly, is at work when, after being revealed as unworthy of even the most cynical kind of support, Nasser and the Arab/Russian cause go on being supported, as vociferously as ever and without even a decent delay, in our correspondence columns." "All you can reasonably work for is keeping things going, plus as much improvement as they will stand: an injustice righted here, an opportunity extended there. This is not a very romantic-sounding programme. In fact it is not a programme at all. I like that." 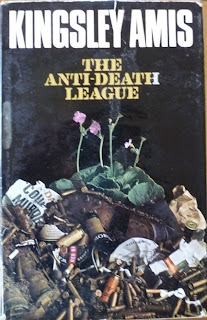 The Anti-Death League- a much earlier book-is- among other things- a spy novel. True, The Anti-Death League is, in part, a spy novel. It's also my favourite Amis novel (of those that I've read), so it was remiss of me not to mention it (although my copy is pictured). More remiss of McCormick though: there's no sign of it in his Who's Who entry for Amis.